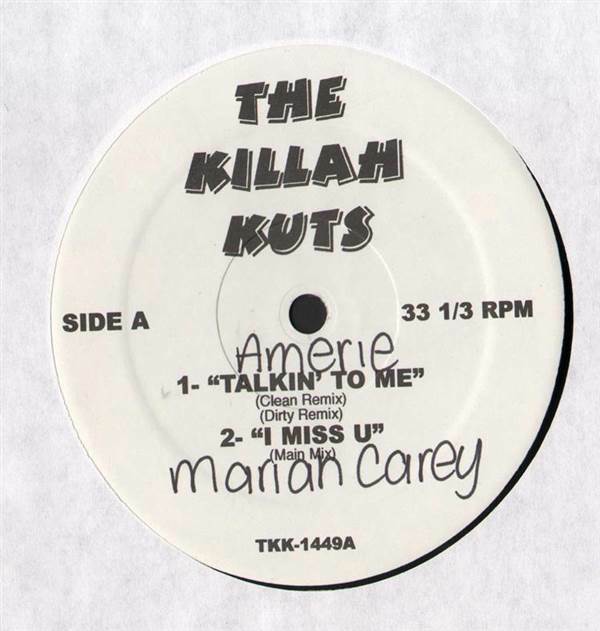 Amerie / Mariah Carey / Benzino - The Killah Kuts 12"
REMIX SERVICES, Killah Kuts, USA, Unknown Year... Amerie - Talkin' To Me (Clean Remix), Talkin' To Me (Dirty Remix), Mariah Carey - I Miss U (Main Mix), Benzino - Die Another Day (Main Mix), Mariah Carey - The One (Main Mix), The One (Instrumental). QB Finest / Capone-N-Noreaga / Outkast - The Bridge / You Don't Wanna / Ms. Jackson 12" N.Y.C. Club Traxx - Volume 1 12" Various - Crib Underground 12" N.O.R.E. / Sacario / Isyss - The Killah Kuts 12"
Various - Emixshow Exclusives Vol. 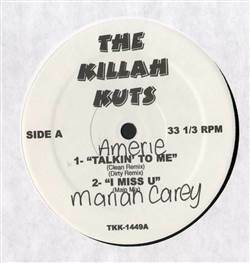 14 2X12" R. Kelly / David Banner - The Killah Kuts 12" Olivia / Tarralyn / Truth Hurts / Junior - Sounds Of R&B Vol. 7 12" T-Ski Valley / 45 King - Catch The Beat / The 900 Number 12"